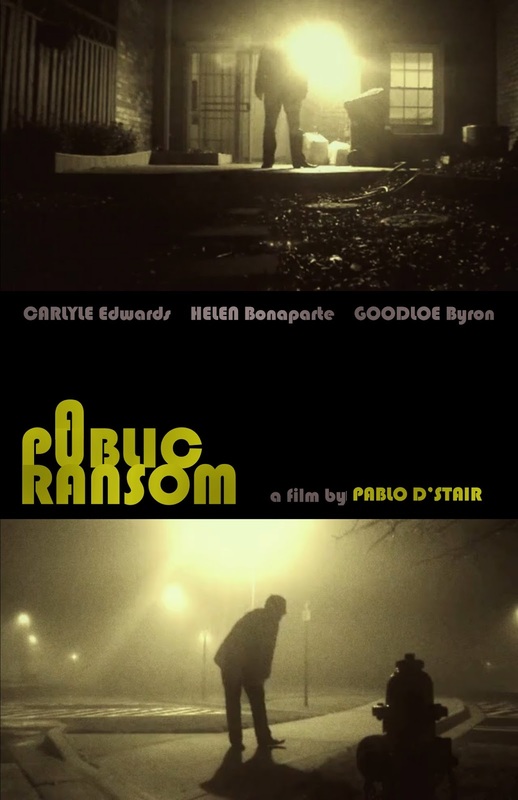 The indie scene welcomes a new filmmaker this year, with the arrival of Pablo D'Stair's debut feature - "A Public Ransom". In this psychological drama, D'Stair plays with the medium by using a monochrome visual palette and several long takes. He clearly has an affinity for experimentation and the result is a mixed bag. The story here involves a young writer named Steven (Carlyle Edwards), who gets entangled in a strange mystery. One day, he stumbles upon a questionable missing child poster (written in crayon), with the words "HLEPP ME?" and a phone number attached. Being the unemployed, idle person he is, he decides to dial the number out of sheer curiosity. It turns out that there's actually a man named Bryant (Goodloe Byron) on the other end, who claims to have kidnapped a young girl. Initially dismissive of his confession, Steven chooses instead to draw inspiration from the incident to craft his next story. However, when he eventually meets Bryant in person, things start to get very fishy. 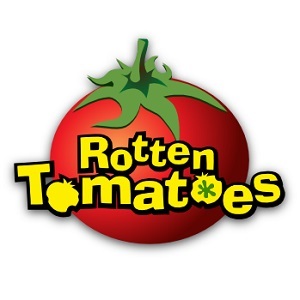 This mysterious man demands a $2000 ransom and starts to creepily invade his life by forging a close relationship with Steve's best friend Rene (Helen Bonaparte). Over the course of the film, Steven must decide what's real and what's not, as Bryant becomes an ever-present threat to his piece of mind. As the mystery unravels, the film seems to be influenced by various established directors, whether intentional or not. In particular, there are hints of Tarantino in the music choices and narrative structure (segmented by the days of the week) with a little bit of the Coen brothers in the script's black humour. In terms of the visuals, the press notes indicate that it was visually inspired by the early films of Bresson, Fassbinder and Jarmusch. Obviously, this is quite a varied mix and it's this amalgam of auteur styles that works to both the benefit and detriment of the film. The most significant stylistic choice is certainly the film's look. The purposeful "vintage" style gives it a cool grungy feel, but it also sacrifices clarity. This murkiness is particularly noticeable in the outdoor nighttime scenes, of which there are many (and long ones at that). The environment is nicely shot but it too often detracts from the film's main draw - the performances. Everyone knows that the acting in small budget films can be hit-or-miss, so it's a great relief that this film has such an able cast. Most impressive is Carlyle Edwards in the lead role, giving a performance that truly carries the film. His unique type of unsettled anxiety really sits well with the heady nature of the story. Even when the film is hard to follow (there are too many rambling phone conversations), his cadence and animated gestures keep you interested. If only we could see more of his face, which is frequently hidden in darkness. There's a lack of needed tension in some areas of the film and I think a stronger visual representation of the characters would have helped a great deal with audience engagement. Overall, "A Public Ransom" is a film that perhaps tries too hard to establish an "auteur" vision, but it's fundamentally well-made. D'Stair's directing and writing shows promise, but the film's real coup is its leading man. When all is said and done, sometimes it just takes a good actor to make a film work.